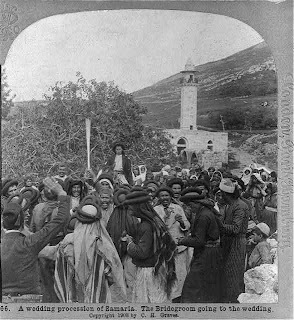 Arab Weddings in Judea and in Samaria over 100 Years Ago. ﻿ Clarity of words and terminology is often the first casualty in political conflict. That is certainly the case in the Arab-Israeli conflict. 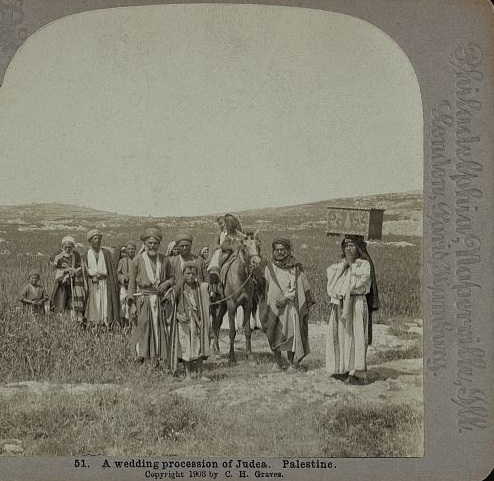 Using the geographic terms "Judea and Samaria" today is often mistakenly attributed exclusively to Jewish residents of the "West Bank" or their advocates. ﻿﻿ The Library of Congress' photo archives prove otherwise. These 1903 pictures of an Arab "wedding procession in Judea, Palestine" and an Arab "wedding procession in Samaria" use the correct geographic names of the region -- well before the British Mandate, before the political division of the west and east banks of the Jordan River, and before the Arab-Israeli conflict. That's so interesting. 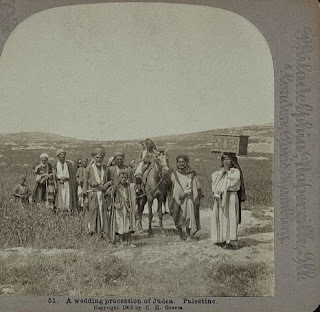 I wonder if they've already started hiring Perth wedding photographers during those times.